People often ask me how they can make $50 a day playing poker. Or $100 a day playing poker, or some other multiple. And there is a pretty easy answer to this question if we are talking about small amounts of money like this. It isn't easy to consistently make $50 or $100 a day playing poker. Because in poker some days you will win and some days you will lose. However, if you want to make $50 or $100 a day on average playing poker, then you should play low stakes cash games. The reason why is because cash games are easy to beat and they also have the most consistent profit. However, this is a pretty simplistic answer. So in this article I am going to break it down for you so you know exactly which games to play in to make $50 a day. And perhaps more importantly, which games to avoid! The first thing I want to point out is that making $50 a day playing poker is not going to be quick or easy. In fact, if you are a complete poker beginner, it will probably take you around 6 months to achieve this at a minimum. And the biggest reason why is because you are going to have to climb up several stakes in order to average $50 poker profit per day. And this means you will need to beat some decent players. 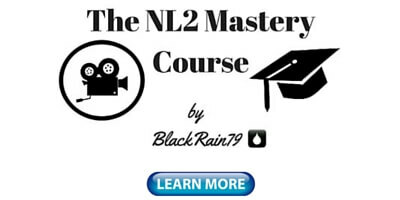 The minimum stake that I would suggest getting to in online poker would be NL25. These are the 10c/25c blind tables. If you play live, then you can make $50 a day at the $1/$2 tables with the right strategy. The main point here though is that I don't want you to think that it is going to be a walk in the park to make $50 a day in poker these days. Because it just isn't that easy anymore. There is a lot of competition out there these days and you will need to work hard to study and improve your game. The next thing that you need to know in order to make $50 a day playing poker is that cash games are your friend. And tournaments are your foe. In cash games the blinds never change and the chips you buy in for are real money. You also only have to beat the 5 to 8 other players at the table in order to turn a profit. 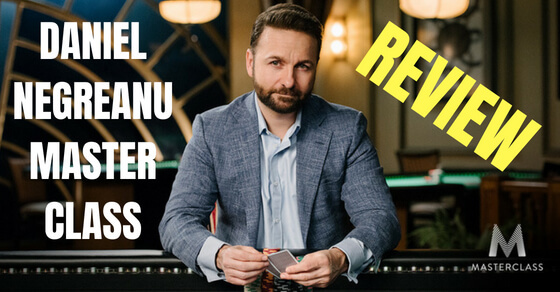 Poker cash games have many benefits and that is why I primarily stick to them and teach them here on my blog, in my books and videos. I play cash games 90% of the time. And one of the main benefits of them is consistent profit. It is not uncommon for a good poker player at the micro stakes to go days or even weeks without even having a losing day. This is absolutely impossible to do in poker tournaments or even sit and gos. Because the structure of those games requires you to beat so many more people, thousands in some cases. This means that most days you will come out as a small loser and on a few rare occasions you will win very big. This is not practical at all for someone looking to consistently make $50 or $100 a day playing poker. Variance, which is the technical term we use in poker for the natural ups and downs of the game, can be reduced considerably by increasing your volume. What do I mean by "volume"? I am talking about how many hands you are playing. Somebody who plays 100k hands of poker a month is going to have a far smoother graph than somebody who only plays 10k hands for instance. And this is because poker is a long term game and therefore the more you increase the sample size, the more you give the math opportunity to run it's course. 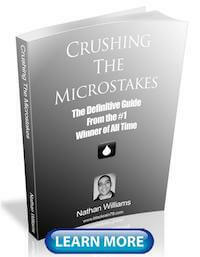 I have some of the highest winnings of all-time in the micro stakes cash games online. However, I could very easily lose on any given day. I could even have a losing week. But the chances of me having a losing month are very low. And the chances of me having a losing year are nearly impossible. In fact, it has never happened once in my 10+ year poker career. And therefore if you want consistent poker winnings you should try to increase your volume (play more hands) and get to the long run quicker. So how do you actually increase your poker volume though you are probably asking yourself? Well in online poker this is easy, you play multiple tables. You can literally multiply the amount of hands you are putting in by just continually adding more and more tables. Now of course the problem here is being able to handle the increased speed of decision making required and to still have time to table select as well. 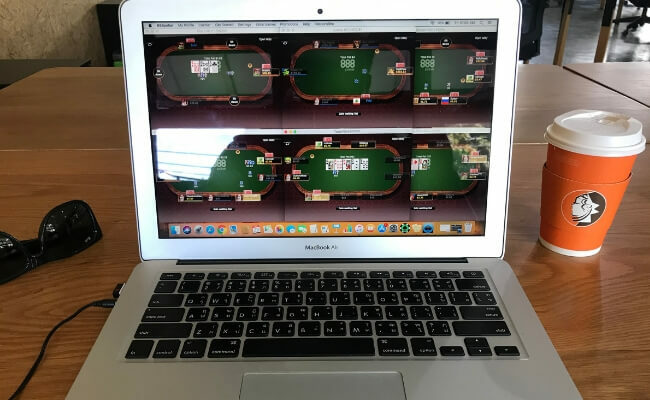 So this is why I have already written the complete guide to multi-tabling showing you how to arrange the tables on your screen, software aids to use and how to standardize your decision making. The bottom line here is that if your goal is to make $50 a day playing poker at the lower limits, then you are going to have to learn how to multi-table. 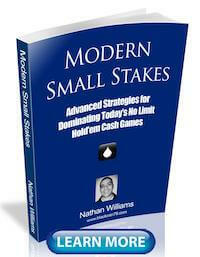 The next thing you need to know is what strategy to use at the poker tables. There is a very simple answer for this as well. It is called TAG or tight and aggressive. TAG poker is the preferred play style of poker professionals because it keeps you out of marginal situations and consistently making money. This strategy also lends itself very well to multi-tabling online poker cash games and earning a lot of rakeback as well. In a short little blog post like this, I don't really have the space to explain this strategy in great detail though. 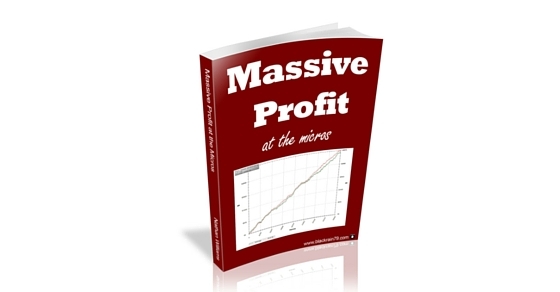 So that is why I wrote a free little 50 page ebook to explain it all for you: what hands to play, when to bet, raise, when to bluff and so on. The last point that you need to be aware of if you want to make $50 or $100 a day playing poker is that rakeback and bonuses will be crucial to your success. As I mentioned before, poker isn't easy these days. No matter how much you table select, you are going to have to play against good players sometimes who don't make very many big mistakes. What does this ultimately mean? Yup you guessed it, lower winnings and higher variance! 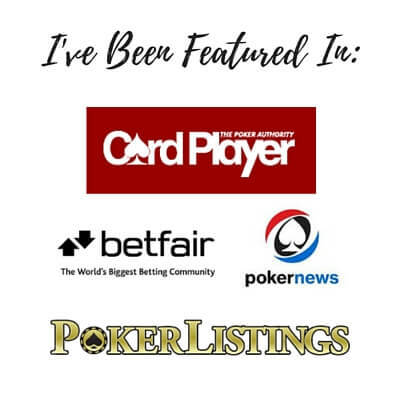 So this is why making sure that you sign up for the right poker site with a good rakeback and bonus system is so crucial these days. Almost all poker rooms offer some sort of sign up first time deposit bonus these days that gets release to you as you play. It can be hundreds of dollars in some cases. This is crucial when you are just starting out. You can also get a rakeback deal for 30% or more in some cases which is essentially just what it sounds like. You receive 30% of the rake that you already paid to the poker site back. With high volume play at reasonable stakes this can add up to a lot of money, hundreds or even thousands of dollars a month once you are at playing mid or high stakes. 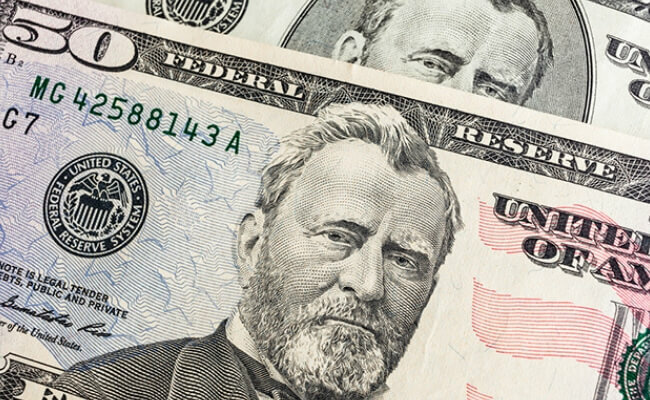 The other great thing about bonuses and rakeback is that there is no variance with them. It is a fixed amount that you receive by simply playing the game. 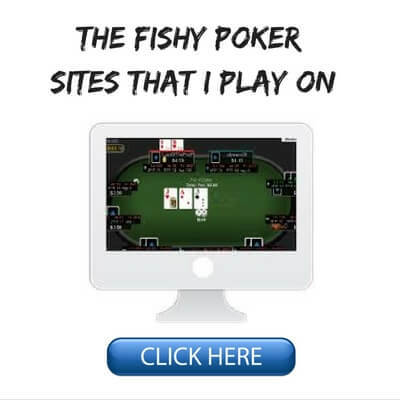 You can check out my complete list of recommended poker sites right here. Making $50 a day playing poker is not easy in today's games. If you are brand new to poker, don't expect to be making this amount by next week or even next month. It will likely take you 6 months minimum to achieve this and probably closer to a year for most people. However, if you are willing to work hard putting in the hours at the poker tables and studying and improving your game away from them as well, this is by no means a difficult goal to achieve. And even though some people will scoff at $50 a day as chump change, you need to remember that $50 a day is a very good salary in most places on earth. The other great thing about poker is that you are mobile. 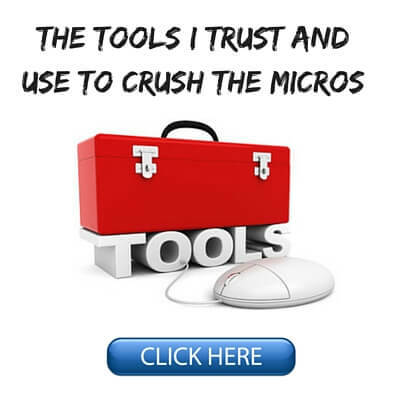 If you can learn to make $50 a day in online poker or in the casinos, you can literally do it from anywhere on earth. Let me know your thoughts below in the comments. 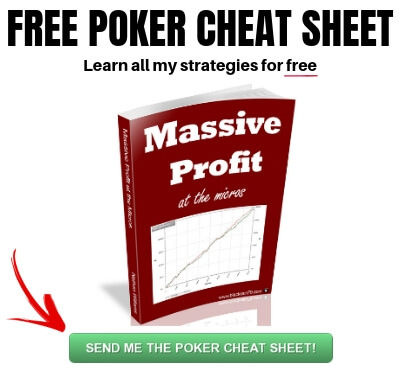 Do you make $50 a day playing poker on average? Do you think it is easy or hard? Let me know your thoughts below. Have you ever made $50 a day playing poker? Do you think it is hard or easy? playing ignition poker as big sites banned here in oz,, and love the way the average fish plays their ace rags so hard..it is really money for jam. Good job serg, hope you make it there! It would be good to know your tips on making a schedule for high volume playing. How many sessions per day? When to walk? When to eat? What to eat and drink? What about sleeping habits? Resting days? Etc. etc. from your own experience. This is going to be different for everybody. When I was playing full time though I would usually split it up into two sessions per day, 2 hours each. Sometimes I would play a lot more though. As for diet and exercise, I just eat regular mostly healthy meals and go to the gym a few times per week. I Never say "thanks" but i love your articals. Honest and very helpfull. You do a great job!!! Thanks Dfox I will check it out, hope you are doing well also! i just made over 50 in an hour at nl/10. no hud and six tables. Open limping is a fixed limit strategy. If you come in up front and set off a cascade of calls whether you raise or not, then limp and save a bet. the "sneaky" open limper who open limps his premiums hoping to get more limps & an iso raise or even just the iso raise so he can then re-raise. of course, while he thinks he's really clever & sneaky, he might as well just turn his cards over and show the AA or KK when he takes the limp, 3bet line instead of his usual limp-fold or limp-call. in the long run, you will make more money by always coming in for a raise. once players realize you will raise your speculative hands, you will get action on your premiums. people whose PFR is 3% should NEVER get action. Played for 15 years , mainly live poker low stakes but for the last four years I’ve played for a living at 1/1 stakes in England . In the article, it says high volume is important. I can multitable fine, but I cannot play more than 1 or 2 hours without losing focus or playing worse. Any tips on this, besides keep practicing and taking breaks between sessions? taking player notes, listen to calm music to be more focused. How much bankroll should i have to play in NL25? made another 50 this morning at nl/10. doing good , thank you for your help. # of tables is personal choice. Hi! What bankroll do you recomend to start playing at NL2? Thanks. Hey Luis, the link to my bankroll article which covers every limit is 3 comments above this one. I don't know enough about RIO to comment. I think Upswing puts out some of the best online poker content these days. I have reviewed several of their courses on this website in fact. I played in the 2000er era and now came back in July 2018 to play online again. I am still stuck on NL2 where I try to build up my bankroll to 125$ to level up to NL5. I have +6BB/100 @ 25k hands on PokerStars and +4BB/100 @18k hands on 888poker. I started with 10$ each and now my bankroll is about 80$. Still 55$ to go for the jump to NL5. I don't now if I'll ever reach it though.